With more & more being shown on TV & magazines about Eco Home, we take a look into what makes an Eco Home. With the rise of new techniques and technologies more and more of us are considering what our impact is, both at scale and also on a local level, on the world around us. This growing consciousness has lead to an increase in the building and development of “eco”, “eco-friendly” and “green” homes. Even on a day-to-day basis, we are quizzed in the office or out onsite about the latest efforts to build eco-friendly homes and as a result thought we would answer some of the key questions here. What is an Eco Home? This type of question makes sense because, for decades, the “eco-friendliness” of a home really wasn’t a major consideration. As a result, even though the trend might be growing, it’s still new to many. Put simply, an eco home is a dwelling or home built with the aim of reducing energy consumption and waste, whilst also attempting to be as sustainable as possible with minimal impact on the surrounding environment. That might sound like a bit of a mouthful but the reality is that there is no set definition and as such it will change and be completely relative to your own specific project. The key features of an eco home differ in a similar way to a definition. Each home, or project, will be slightly different and as a result, will focus on different features or requirements. Some of the most common features include greater levels of insulation, a greater emphasis on airtightness, yet still the quality of fresh air from the likes of MVHR, the maximizing of natural light and some form of solar power generation. Some projects might also focus on incorporating rainwater harvesting and even impact the natural area surrounding the house with the inclusion of natural gardens or vegetable patches. No matter what the features are, the focus will always be on creating a home that is as sustainable, energy efficient and environmentally friendly as possible. If you keep this to the forefront of your mind throughout the lifecycle of your own project key features, materials and building methods should follow in an eco-friendly way. Eco building materials are becoming more and more popular due to a variety of reasons including price and accessibility. Materials used can range widely, depending on the scope of the project, but can include timber, natural stone, slate, LED lighting, solar panels and less of a focus on uPVC and other plastics. The last factor, location, is interesting as a trend for locally sourced, eco-friendly, building materials continues to grow. Whilst this might not always be possible, think about your location and what might be nearby. Building an eco-friendly home is a fully holistic process that begins in the planning phase and subsequently filters down through every aspect of the building thereafter. This means that, at varying levels, the aim of building an eco-friendly home will influence every key decision including design and architecture, chosen features, materials used, building process and more. For a novice, we would highly recommend using professional’s at all key junctures to ensure the project runs as smoothly as possible. If you have any major questions or concerns you can contact our team at the office by clicking here! When someone says “dream home” to you, what comes to mind? Everyone has a dream home locked away at the back of their brain but even though building that dream home might be a labour of love, it should also be carefully planned out and considered before pen is ever put to paper or materials have been bought. We know that the idea of a dream home can represent different things to different people but there are a few constants in the process so, if you want to make it a reality, the points below should help guide your thinking. Selecting and surrounding yourself with the right individuals can have a massive impact on the speed and success of your dream home project…as well as your own sanity! 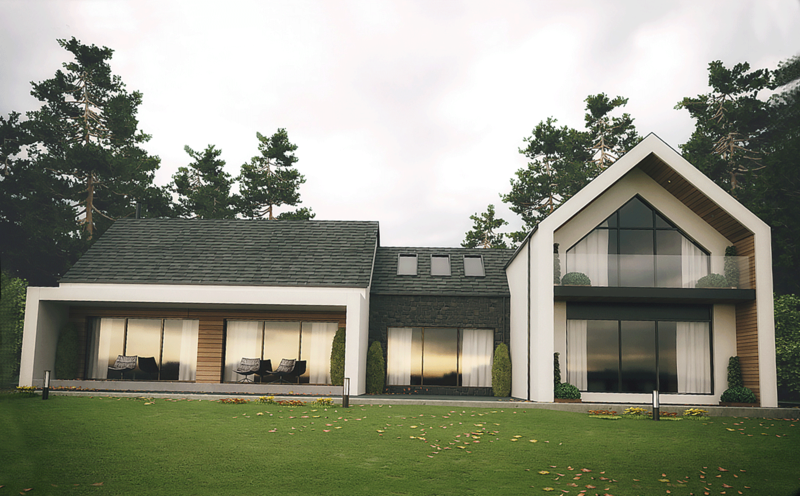 When it comes to your dream home team the key individuals will include your architect, builder or contractor, bank lender (should you need credit or a self-build mortgage) and a solicitor, amongst others. Whilst you don’t need everything set up from day one it helps as each member of the project will provide their own unique perspective which, all together, should help you avoid major pitfalls and problems. Do your research, ask plenty of questions and choose wisely. Thinking “big picture” might seem obvious (you’re building a house after all…) but what we really mean here is constantly ask yourself questions before any major decision. Your architects should be able to help during this process. If you want plenty of natural light then think about what that means to the building. Likewise if you prefer dark, cosy spaces, the design should follow this preference. Similarly, you should ask yourself questions about what you want to do with the space available and where you want to place key features of the house. After you’ve nailed down big picture features it’s time to consider all the smaller details that can have a real impact on your home.One major consideration, as we move into an increasingly digital world, should be “smart home” product integration. Smart Home products include Google Home, Amazon Echo and Apple Homekit and they can help control things like heating, lighting, security and entertainment in your house all from a smartphone app. Building with these near-future additions could help save costs in the long run. Other small details could include the inclusion of under floor heating in certain areas of the house, wardrobe placement and storage space, access for pets, placement of bins, parking and more. Almost all of us are aesthetic animals at heart meaning that, when designing our dream home, we want to dive straight into the style, materials, colours and interior design. That’s fine as long as you remember that finding a plot and deciding on major elements of the project come first. After that it’s time to get creative. This is all part of the process and your architects will be able to help steer your thinking but you’ll most likely already know whether you prefer traditional or modern designs, stone cladding over timber, inside outside garden designs and so much more. At this stage it’s important to be as clear as possible when delivering your brief to the architects. Give them as much information as possible, including specific opinions and preferences, so that they can create designs you’ll love. For many picking the right plot isn’t an issue as families gift or inherit land between each other. However, if you’re completely starting from scratch then choosing the right plot will have a major impact on your dream home. Not only do plots demand a large chunk of your budget, they also determine the location of your dream home, your future neighbours, the surrounding landscape and environment, views, access to public resources and amenities and so much more. In short, choosing a plot is a massive decision and we’ve written a guide to help you through this process which you can access by clicking here! Put all your effort into choosing the right plot. Everything else will flow from there. Are you still in the “dream home” phase or are you ready to act? Sometimes the best thing to do is to chat through all your ideas with experienced heads ready to offer guidance and direction where needed. 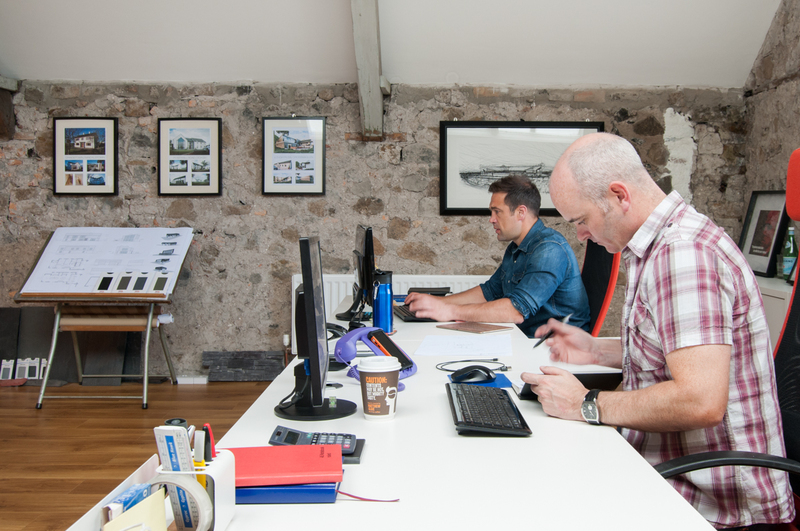 We’ve worked through loads of different projects, from new builds to extensions and barn conversions to modern designs, so we’d be happy to chat. You can contact us by clicking here or just reach out on Facebook, Twitter or Instagram! Tickets give away for SelfBuild Show in Belfast!! 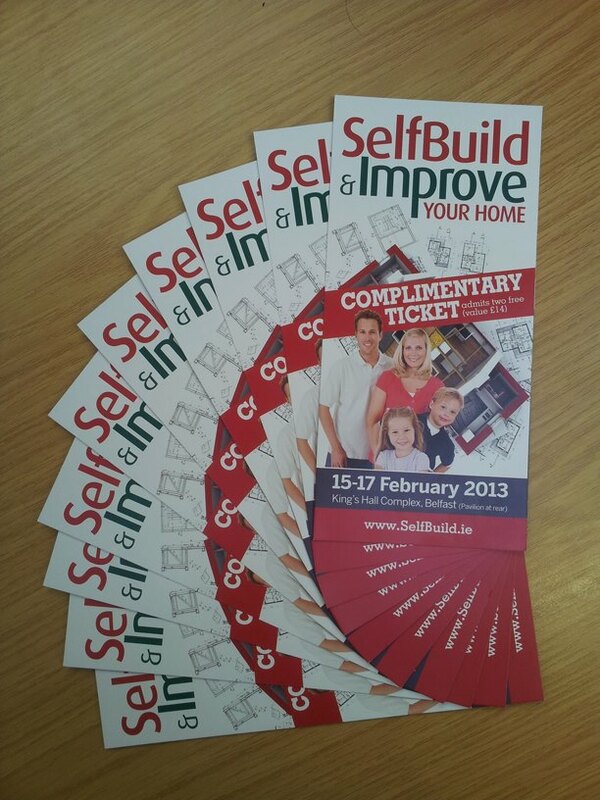 10 pairs of tickets to give away for the SelfBuild & Improve Your Home Show being held on 16th February 2013 in the Kings Hall Complex, Belfast. If your interested in attending the show & want a free pass (for 2) email: info@slemishdesignstudio.co.uk with your name and address. 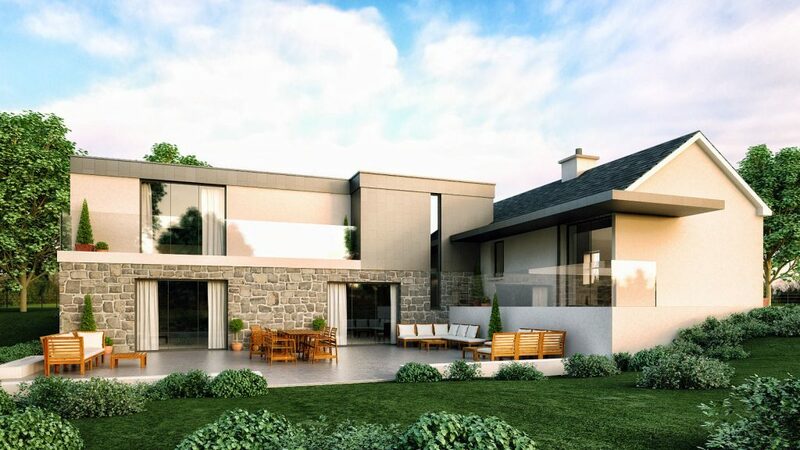 The 2013 Belfast show is packed full of features, whether you are looking to build your own home, simply improve your current one or perhaps you are an architect or building professional – this show has something for you. And remember, should you be planning a self build, extension etc. Give us a call and we can help advise on your ideas. 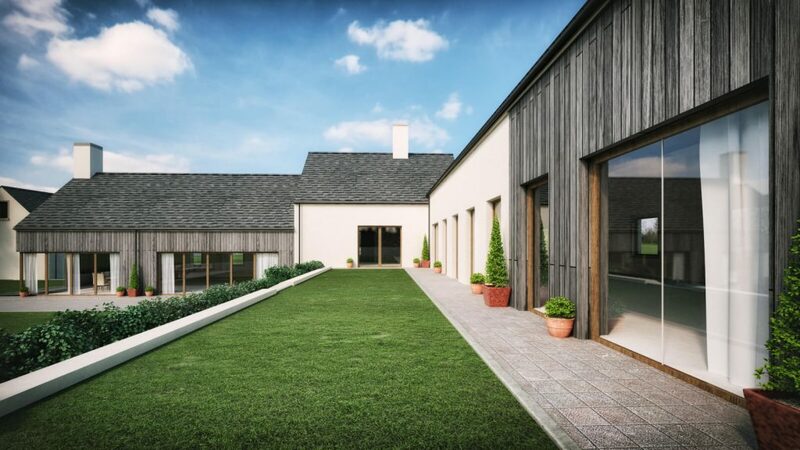 We’ve received building control approval for our barn conversion in Dromara, County Down. The projects brief was simple – convert the existing dwelling into a 3 bedroom open plan living space. What a great morning to be out on site!! 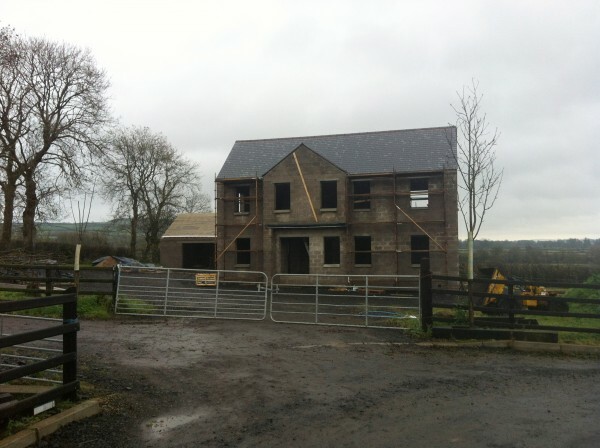 Our project in Dunadry, Co. Antrim has finally got its slates on. 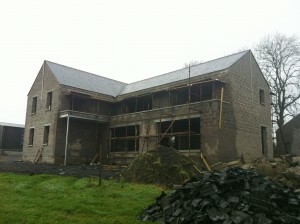 Hopefully within the next few weeks we’ll have the windows and doors fitted and sealed up for winter.